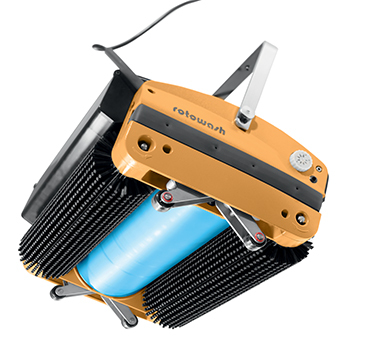 Rotowash is amongst the pioneers in the design and manufacture of scrub wash dry floorcleaning machines specialized in twin cylindrical counter rotating brush technology. Rotowash machines are being successfully employed internationally for more than 42 years. Rotowash machines are designed and made in Austria using components of the highest quality. The management and production systems undergo frequent audits by British Standard Institute – BSI – according to ISO 9001. Rotowash products are approved by OVE, Austria and BSI and conform to the high standards of design, quality and safety set by CE– Conformity European. Rotowash leads the market where high productivity, hygiene, cost effectiveness, safety, reliability and the reduction of chemicals and water consumption are of paramount value to our customers. We believe in remaining at the forefront of technology and innovation, while incorporating the ideals of environmental responsibility into our design process. Most importantly we recognise that our responsibility goes beyond our customers and their workplaces. 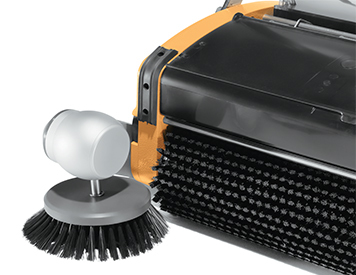 The key to our longevity, and success has been the combination of our unique floor cleaning machine technology, backed by a skilled, and experienced team who are dedicated to exceeding our customers expectations. But most importantly Rotowash places the highest value on our global Distributor Partnerships and continues to invest in support infrastructure to ensure we consistently deliver on our promise of offering the very best in products and service. Rotowash is a trusted and traditional company of the highest integrity that prides itself on the quality and success of its distributor relationships worldwide which are supported from our Head Office in Austria and our Regional Asia Pacific Office located in Australia. Are you interested in becoming a preferred Distributor of Rotowash?